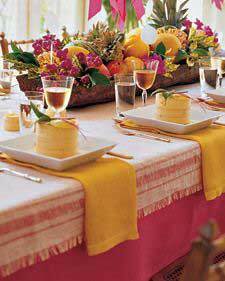 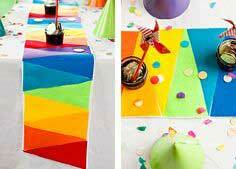 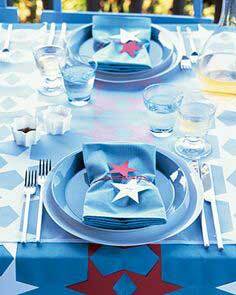 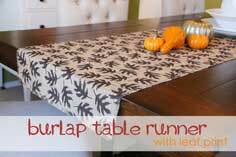 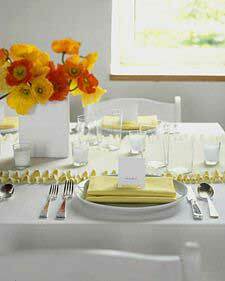 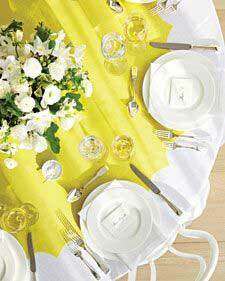 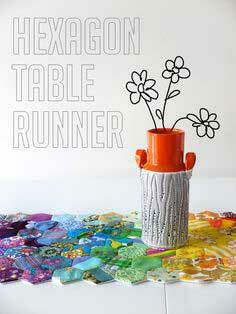 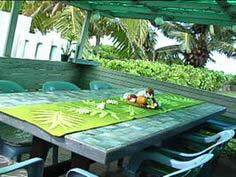 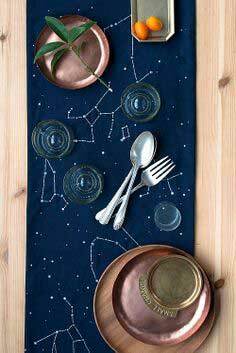 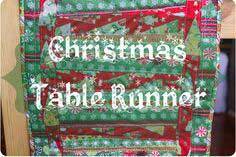 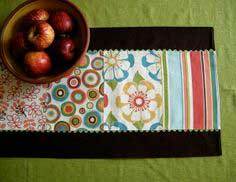 If you're looking for a quick and inexpensive way to brighten up your dining area, you're sure to find a great table runner idea in this extensive collection. 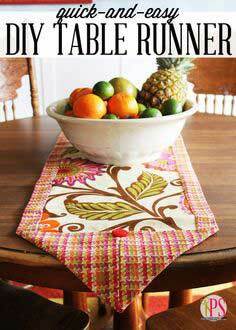 We've gathered the best patterns, instructions and photos of table runners, and you don't even need to sew to create many of them. 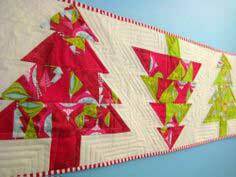 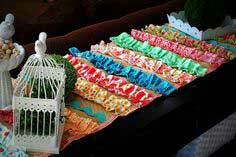 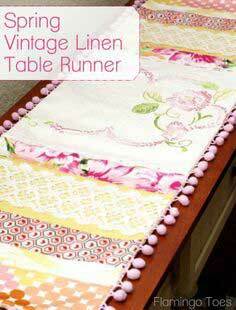 There are frayed edge runners, stamped runners, paper runners and beautiful, quilted runners in all shapes, colors and designs. 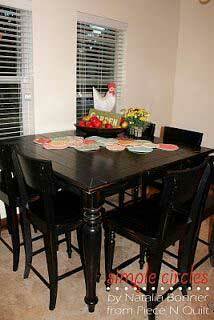 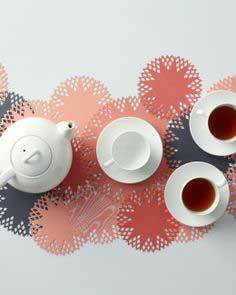 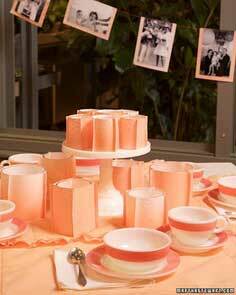 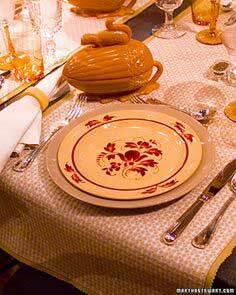 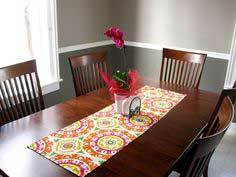 You can change up the look of your dining room in minutes, or craft a lasting gift for a new homeowner or bride. 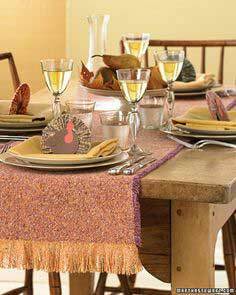 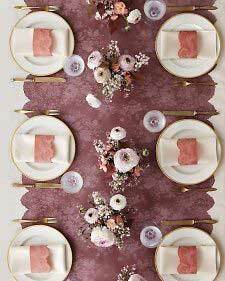 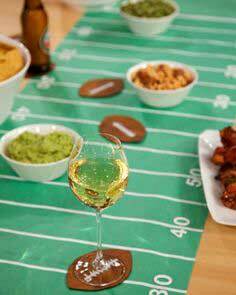 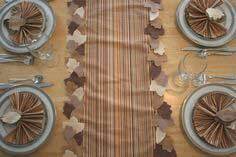 Whether you're getting ready for a party or ushering in a holiday, you're table will always look its best with your custom-made table runner. 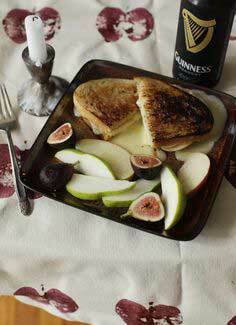 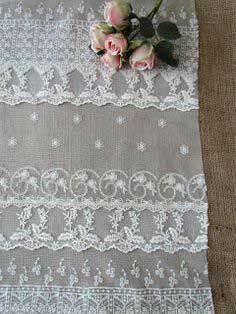 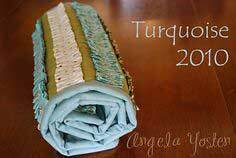 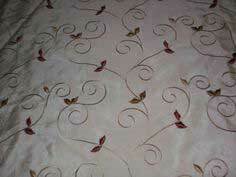 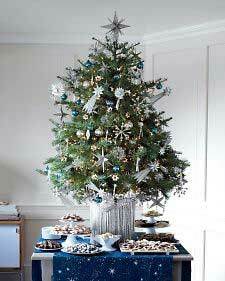 Suggested Fabrics: Cotton, lace, muslin, burlap, paper, doilies, repurposed fabrics. 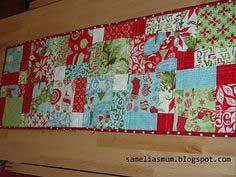 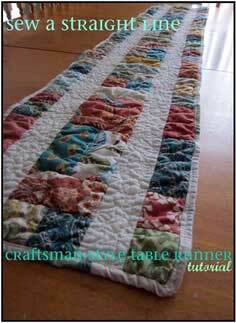 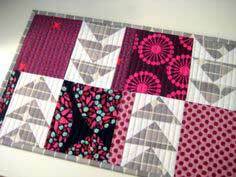 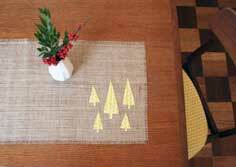 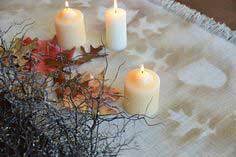 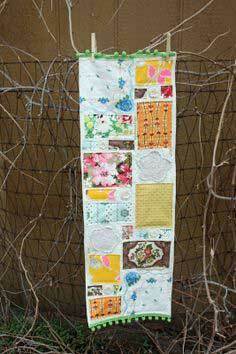 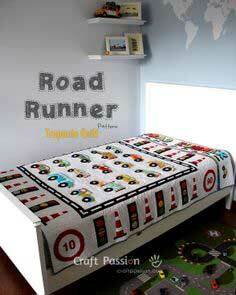 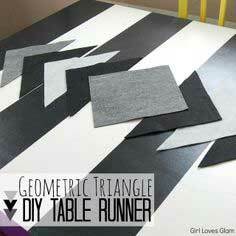 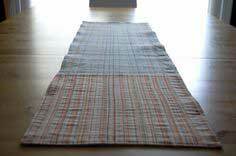 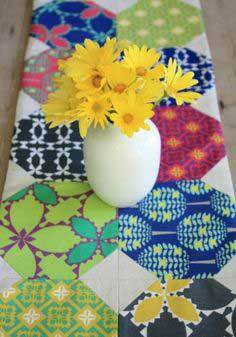 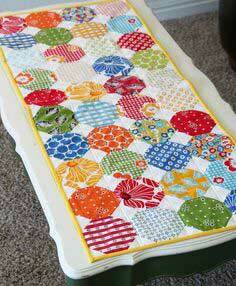 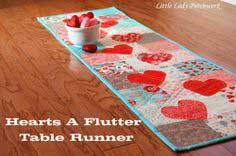 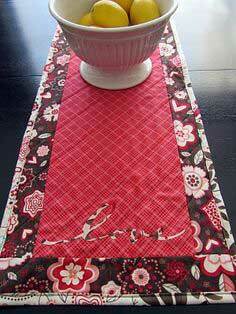 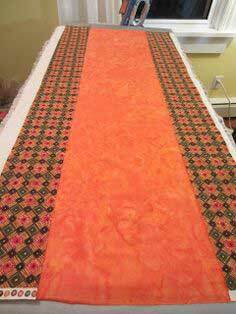 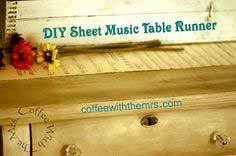 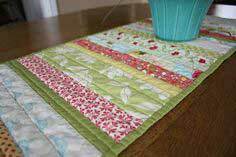 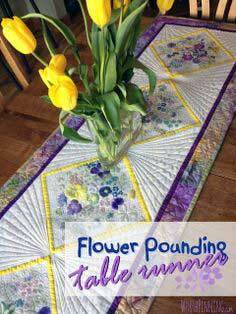 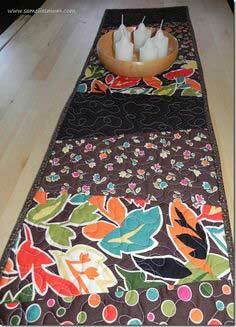 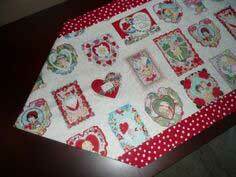 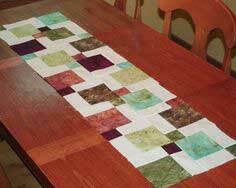 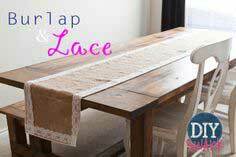 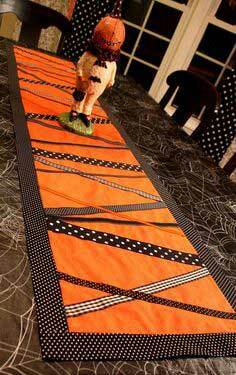 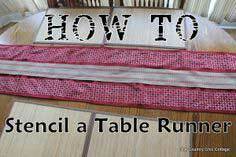 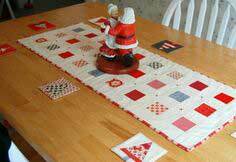 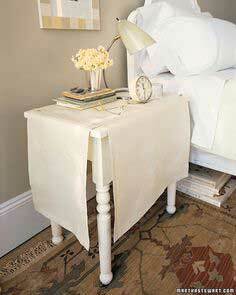 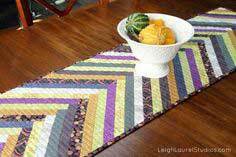 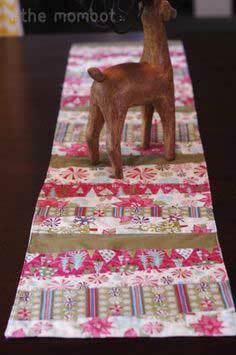 Simple to Sew Table Runner Patterns. 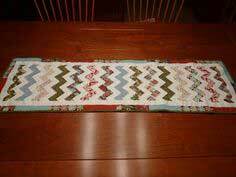 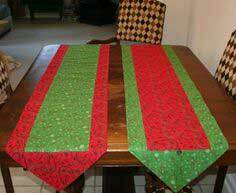 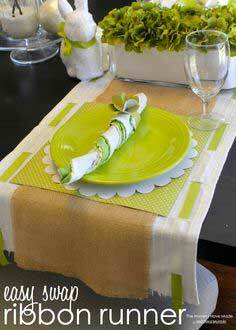 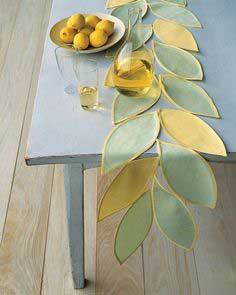 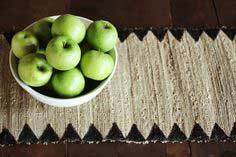 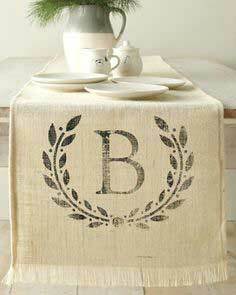 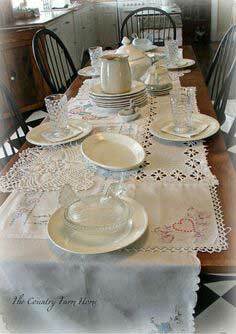 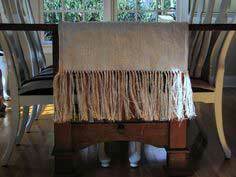 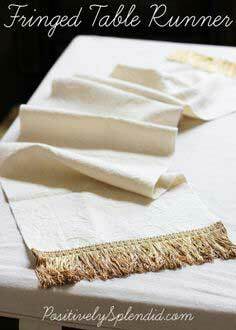 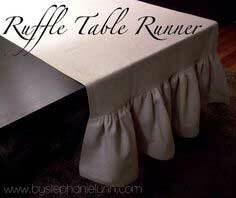 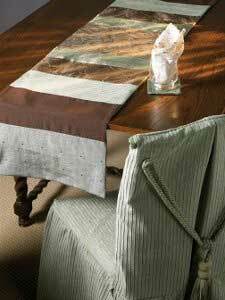 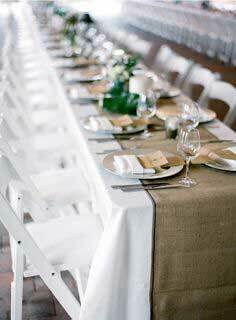 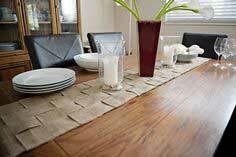 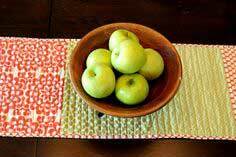 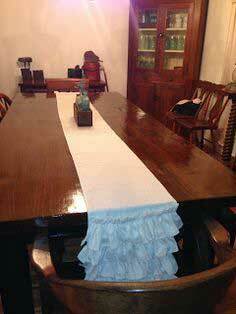 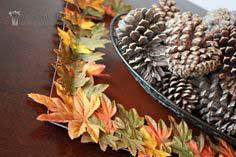 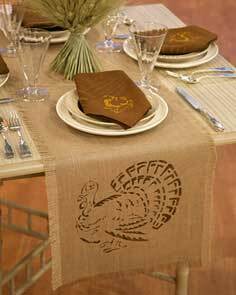 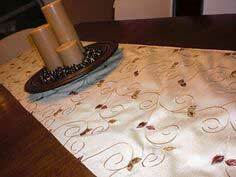 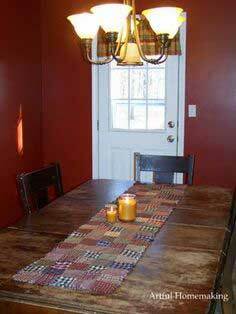 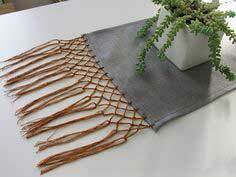 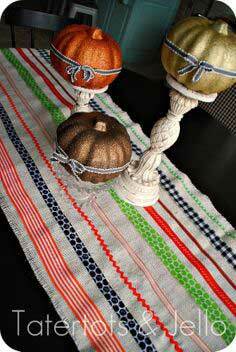 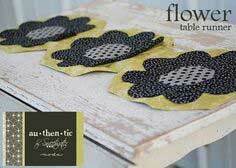 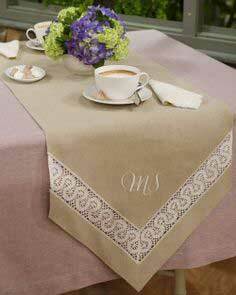 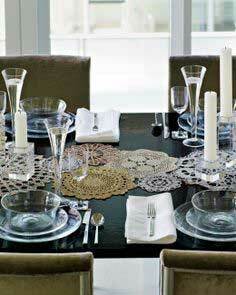 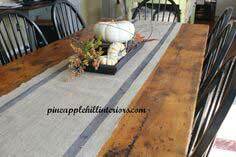 A table runner adds a finishing touch to your dining room. 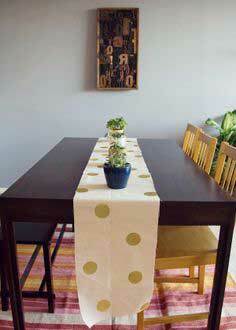 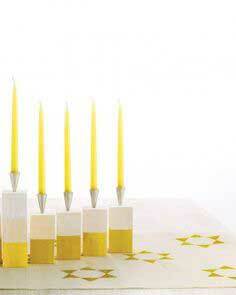 It's a fun way to change your décor quickly, and it's easy and inexpensive, too.